Dolby Institute Empowers Indie Filmmaking at Sundance Film Festival with New Fellowships Awarded to ‘Honey Boy’ and ‘The Sound of Silence’ | Dolby Laboratories, Inc.
SAN FRANCISCO, Jan. 23, 2019 (GLOBE NEWSWIRE) -- Dolby Laboratories’ Dolby Institute and Sundance Institute, along with the Ray and Dagmar Dolby Family Fund, today announced that Honey Boy, directed by Alma Har'el and written by Shia LaBeouf, and The Sound of Silence, directed by Michael Tyburski and co-written by Ben Nabors and Michael Tyburski, have both received the Dolby Family Fellowship. The Fellowship offers recipients a wide array of post-production technologies including Dolby Atmos, and new this year, the addition of Dolby Vision to further amplify the filmmakers’ visions. Honey Boy will premiere at the 2019 Sundance Film Festival in Dolby Atmos at the Eccles Theatre on Friday January 25 at 3:30 p.m. MT, and the world premiere of The Sound of Silence takes place Saturday, January 26, in Dolby Atmos at the Ray Theater at 12:30 p.m. MT. The Sound of Silence--A successful "house tuner" in New York City, who calibrates the sound in people's homes in order to adjust their moods, meets a client with a problem he can't solve. 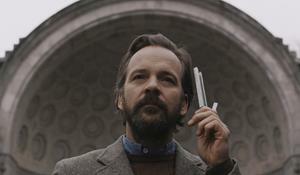 In The Sound of Silence, a self-taught scientist, Peter (Peter Sarsgaard), works in New York City as a “house tuner”—a unique, highly specialized profession he’s invented. His clients approach him with troubles like depression, anxiety, or fatigue. After extensive analysis of their homes’ acoustic characteristics, he identifies some sonic combination that’s altering their mood —a radiator mixed with a kitchen appliance, for instance— and is able to calibrate it. On a routine house call, Peter meets Ellen (Rashida Jones), who is experiencing exhaustion. After his initial conclusion proves incorrect, Peter obsessively searches for the fault in his practice. The more Peter tries—and fails—to help her, the more Ellen’s resulting skepticism pokes holes in his previously airtight theories. Mannered, meticulous, methodical, Peter is shaken when the years he’s spent mapping New York’s natural harmonies come into question. The Sound of Silence is a serene contemplation of people living in their modern environment—and their desire to understand and even control it. Launched at the 2013 Sundance Film Festival, the Dolby Institute has been integral in the empowerment and enablement of emerging filmmakers in realizing their creative visions through education, inspiration, and direct artist support. The initiative brings together aspiring filmmakers and content creators with numerous award-winning industry professionals to provide creative counsel, advice, and tools for successful storytelling. Since its inception, the Dolby Institute has educated and inspired countless content creators through its “Conversations with Sound Artists” podcasts, live programs at film festivals and universities around the world, and content posted on dolby.com/institute. Launched in 2014, the Dolby Family Fellowships have supported nine feature films, including acclaimed films Mudbound, Swiss Army Man, and Blindspotting. Additionally, a number of films featured at the Sundance Film Festival will be screened at the Ray Theatre, the permanent 500 seat-theater introduced at Sundance in 2018 which includes a Dolby Atmos sound system donated by Dolby. The Ray Theatre joins the Eccles Theatre, which began presenting films in Dolby Atmos in 2014. “Giving independent filmmakers access to Dolby’s cutting-edge tools and technologies allows them to fully realize their creative visions and take their audiences on spectacular journeys. We are proud to award this year’s fellowships to films using image and sound as creatively as Honey Boy and The Sound of Silence,” said Glenn Kiser, director of the Dolby Institute. “The Dolby Institute strives to offer emerging filmmakers a creative platform where the art of cinema is celebrated, and storytelling is pushed to new creative heights.” In addition to this year’s Dolby Family Fellowship recipient films, several anticipated Sundance debut titles will be presented in Dolby Atmos including AQUARELA, Sea of Shadows, Wounds, The Elephant Queen, and The Sharks. On Sunday, January 27, at 3:00 p.m. MT, the Dolby Institute will host a panel, “Sound Is Important! How Sound Design Can Help You Tell Your Story” at The Box at the Ray (1768 Park Avenue in Park City, Utah), with Dolby Family Fellowship recipients presenting scenes from Honey Boy and The Sound of Silence and discussing how they used sound creatively in their storytelling. Panelists will include Honey Boy director Alma Har'el and The Sound of Silence director Michael Tyburski.